Our Casa de Carmen, “House of Carmen,” line is designed for the operator who wants a value driven tortilla line. 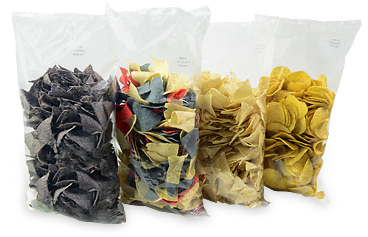 We have cut costs by not using printed or re-sealable bags and boxes, and larger pack sizes for the flour tortillas. The corn tortilla chips are made using corn flour (masa harina) and vegetable oil instead of our premium whole kernel corn and peanut oil.